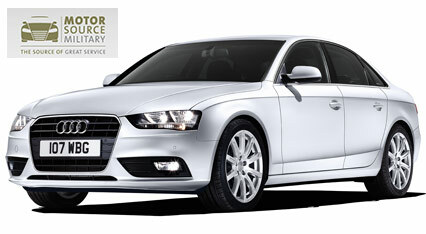 Motor Source offer discounts on a wide range of Audis, new and used to serving Armed Forces members, Ex-forces and Reservists. For example, you can save up to 21% off a new Audi. Low rate military finance also available. Visit our website for a full range of deals. Click 'Get Deal' to fill in the verification form open the Motor Source Military site. Make an enquiry either by phone, email or through the website and discuss the available deals and discounts with one of our friendly advisers. ID may be required for proof of entitlement. Audi Forces Discounts may vary between make and model.